I love decorating the walls in my house and I am quickly running out of wall space to decorate! When we first moved into our house I remember how our house felt more like a home the instant that we out up our first pictures on the wall. I was asked the other day where I purchased this wall decoration from. This cute wall decoration is actually a framed tea towel. I know that there has been a bit of a back lash lately against framed tea towels...but I don't care. I love my bright and fun framed tea towel. 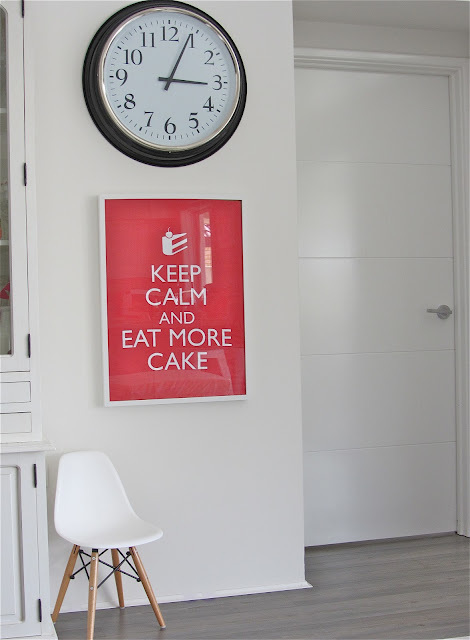 The tea towel is from Typo and the frame is from Ikea (of course! ).The over sized wall clock (product name is Bravur)is also from Ikea. 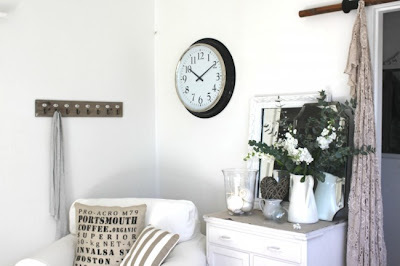 I first fell in love with this wall clock when I spotted it on A Beach Cottage blog. Here are some of Sarah's great photographs from her lovely blog. Here is another wall - well sort of a wall decoration. This was going to be a wall decoration but this cute heart wall decal (from Typo) is instead a mirror decoration. The mirror is propped up against the wall - so yeah...lets call the heart sticker a wall decoration. Anyway, here is a little picture of the sticker. The canvas on the wall that you can see in the mirror is of my daughter just before she turned one. She is now three! My neighbour and my mum have a love hate relationship thing going with my buffet that you can sort of see in this photo - mostly they don't like it. But I think the buffet looks great with all of the white candles on it and who can resist the disco ball hanging above it! 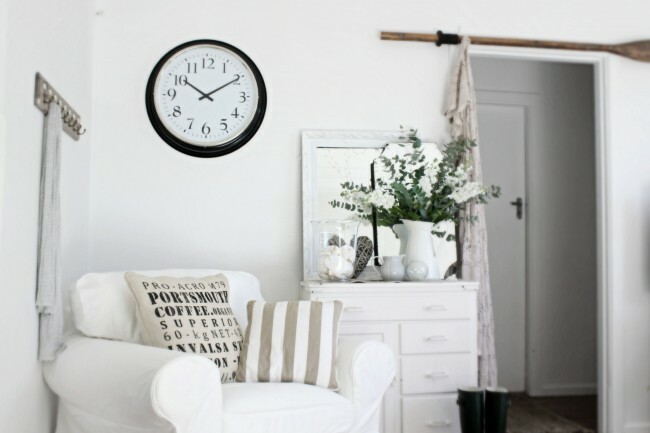 Wall Clock Stickers and decals are a great alternative to pictures, wallpaper and painting for your personal wall decorating. These artistic decorations adorn living rooms, bedrooms, kitchen or bath and can be mounted on walls, tiles; glass, wood and plastic.